In Route of Evil How a Tiny West African Nation Became a Key Smuggling Hub For Colombian Cocaine, and the Price It Is Paying, Kevin Sullivan of the Washington Post tells us how Columbian cocaine dealers are taking over a small impoverished country on the west coast of Africa. So far there does not seem to be any help in sight. Guinea-Bissau, one of the world’s poorest nations, has become a major transshipment hub and the epicenter in Africa for the cocaine trade, according to U.S., European and U.N. officials. The shift demonstrates how the flow of drugs adapts not only to law enforcement pressure but also to the forces of global economics. Officials said some of the world’s richest criminal gangs are exploiting barely functioning countries such as Guinea-Bissau, which has 63 federal police officers, no prison and a population that still lives largely in thatched-roof homes on dirt roads with no electricity or running water. The Colombian cartels are responding to the pressure for cocaine in nations such as Britain, Spain and Italy, where demand is soaring as the U.S. market has leveled off, officials said. Costa described the strong currencies in Europe, where cocaine sells for twice as much as in the United States, as “a magnet” for the cartels. Police raids in Colombia are increasingly turning up suitcases full of euros instead of the traditional dollars. “This isn’t even our problem — we do not produce cocaine here, but it is destroying our future,” said Lucinda Barbosa, chief of the judicial police in the former Portuguese colony. … the national budget of Guinea-Bissau is roughly equal to the wholesale value in Europe of 2 1/2 tons of cocaine. 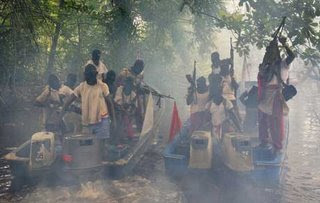 … its main attractions for the cartels are its weak government and coastal waters dotted with scores of uninhabited islands. “The traffickers have a paradise here,” said Constantino Correia, a top Justice Ministry official who is coordinating the government’s efforts against the traffickers. Without computers or other investigative tools, police have no way of telling which of the foreign “businessmen” in Bissau might be smuggling drugs. “It’s a war without faces or borders,” Correia said. Guinea Bissau: The First African Narco-state? 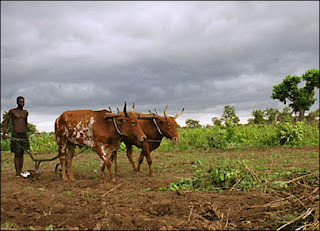 Guinea-Bissau desparately needs help. So far there is no sign of any effective assistance. Africa Command is a headquarters staff whose mission entails coordinating the kind of support that will enable African governments and existing regional organizations, such as the African Standby Force, to have greater capacity to provide security and respond in times of need. Guinea-Bissau is in great need. Security there has been completely destroyed. When the APS was touring West Africa and the Gulf of Guinea, there was no mention of Guinea Bissau. There is no talk I have heard or read anywhere of helping Guinea-Bissau. Without help, the drug smuggling will escalate and spread. There is one US program connected with AFRICOM that might help the government of Guinea-Bissau. That is the African Coastal and Border Security Program (ACBS Program) However, the Bush government did not any request funding for it in the current budget request. It got about $4 million in FY2006 and the same in FY2007. But no funding was requested for FY 2008. I don’t quite know why Guinea-Bissau is being ignored. Is it just ignorance and neglect, a trademark of the Bush administration. The US certainly knows what is going on in Columbia. Of course this cocaine is going to Europe. Would the US prefer a “failed state” in Guinea-Bissau, providing a chance to intervene? In that case, would it help if the problem spreads first, to give more excuses for intervention in more places. Does Guinea-Bissau’s lack of oil make it lack interest for the US. In general, I suspect countries would be far better off if AFRICOM just left them alone. But if it is capable of actually being constructive, this would be the opportunity to demonstrate all the positive rhetoric has some meaning. This is directly contradictory to the fear mongering of the Bush administration. Every day it seems to be adding new states to the list that either harbor or sponsor al Qaeda. This is particularly true in African countries where the US has an interest in oil, natural resources, or in blocking Chinese access. We constantly hear about al Qaeda threats in a variety of African countries. The Brief also describes and analyses the extraordinary, but largely unnoticed, positive change in sub-Saharan Africa’s security landscape. After a surge of conflicts in the 1990s, the number of conflicts being waged in the region more than halved between 1999 and 2006; the combat toll dropped by 98 percent. Between 2002 and 2006 the number of campaigns of organized violence against civilians fell by two-thirds. Why the Sharp Increase in Conflict Numbers in the 1990s? The increase in new state-based conflicts in sub-Saharan Africa in the 1990s was not unique to the region and was clearly related to the end of the Cold War. Regimes and rebel groups that had long been propped up by the assistance given by one or the other of the two superpowers suddenly found that this support—political as well as economic—had disappeared. The result in many cases, not just in sub-Saharan Africa, was regime change and ongoing political instability. However, in sub-Saharan Africa something else was happening: The countries of the region, to a greater degree than in other parts of the world, were undergoing profound and wrenching political change. In 1988 nearly 90 percent of sub-Saharan African states had autocratic governments. By 2006 there were just two autocracies in the region, while the number of democracies had increased sixfold, from three to 18. Had the only change been a decrease in autocracies and an increase in democracies, it would likely have enhanced regional security, since democracies tend to experience fewer armed conflicts than do autocracies. But these were not the only changes. … [There were] trends in “anocracies”—a third regime type, one that is neither fully democratic nor fully autocratic, but a mix of both systems. The increase in the number of anocracies in sub-Saharan Africa between 1988 and 2000 is startling—far greater than in any other region of the world. In 1988 there were two anocracies and 37 autocracies in sub-Saharan Africa. By 2000 there were just four autocracies, but 30 anocracies. This change is an important part of the explanation for the sharp increase in conflict numbers in the 1990s. So what then does explain the sharp increase in the number of conflicts that have been brought to an end since the early 1990s? A major part of the answer lies with the extraordinary upsurge in international activism in the region directed towards stopping ongoing wars and seeking to prevent them from starting again. 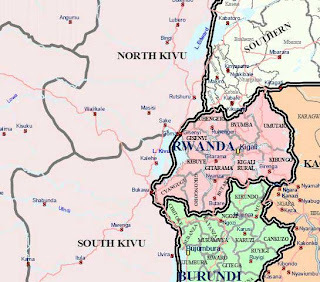 From the early 1990s, the international community— including the African Union (AU)—was bringing real pressure to bear on warring parties to negotiate an end to hostilities rather than to fight on to the bitter end. The big increase in negotiated settlements during this period suggests that this strategy has been effective. with the UN, to help stop wars and prevent them from starting again. Postconflict peacebuilding missions also expanded rapidly and have played a positive role in helping prevent negotiated peace settlements from breaking down. From 1950 to 1999 there were just 18 negotiated settlements—and nearly half broke down within five years. From 2000 to 2005 there were 10 such settlements—thus far not one has broken down. 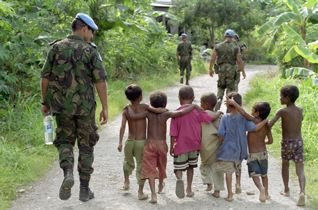 Postconflict peacebuilding’s critical security role lies in helping to make negotiated settlements more stable. It looks like negotiated settlements, followed up by some peacebuilding activity works, particularly those efforts of the UN and the AU. Before visiting Africa Bush proposed major cuts in the US contribution to UN peacekeeping. … U.S. funding for U.S. peacekeeping operations this year could reach $2.1 billion, but the administration had requested less than $1.5 billion to cover its share of the costs of U.N. peacekeeping efforts for 2009. But “US peacekeeping” in Africa is not necessarily the same as peacekeeping. Under George Bush, “US peacekeeping” is more about controlling oil and other resources for US needs. In fact, Bush’s intentions have been described as trying to undermine and circumvent both the UN and the AU, and replace them with AFRICOM, using the US military, mercenary corporations, and African surrogates to protect US corporate interests, the latest colonial occupation. Sweet Crude is the story of Nigeria’s Niger Delta – a story that’s never been captured in a feature-length film. Watch the preview over at the African Loft. In April filmmaker Sandy Cioffi and crew were detained by the Nigerian military JTF while traveling in the Delta, and turned over to the Nigerian State Security Services. They were held without being charged, and without access to counsel. Thanks to international efforts, they were released a week later. It seems obvious there are those who do not want this story told. Sweet Crude is moving ahead on several fronts. We’re back in the studio and will be finishing the film this summer. Meanwhile, we are seeking a distributor and entering festivals. We will also continue to advocate for political solutions with U.S. lawmakers. Many people have asked where they can see the film or how to get a copy. We will let you know as soon as we know – so sign up for our email list to stay informed. And what about AFRICOM? Is counter insurgency what the US has in mind for the combatant aspect of its latest combatant command? And what situations will be called insurgencies? Insurgencies are, by and large, social movements challenging their own government because of some grievance. If the movement is small, it can be fought down through sheer brutality. If it is larger and backed by a significant part of the population, it can only be accommodated by social-political compromise. To achieve the compromise both parties usually fight until everyone is sick of it. The compromise does not necessarily need to be a change of government, but can be participation of the insurgency in the political process or simply a change in social-economic issues. A resistance is also a social movement, but it is fighting primarily against an invading and occupying force. Its grievance is the fact of occupation, not some local social problem. If the resistance fights against the local government, then only because the government is seen as illegitimate tool of the occupation. The difference of a resistance towards an insurgency is motivation and possible accommodation. While an insurgency can be accommodated by letting it participate in the general political process and alleviating its grievance, a resistance can only be satisfied by retraction of the occupation. … it is worth examining the premise that African military establishments merit American support at all. Even though national defense is regularly cited as their primary task, African armies rarely need to repel foreign invaders. Most African conflicts … arise from domestic issues. 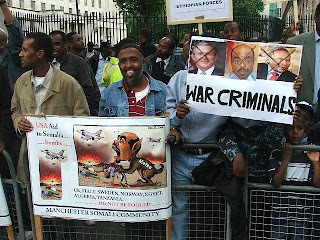 Only the unresolved Ethiopia-Eritrea border war, the recent Congolese wars and the Ethiopian presence in Somalia fit the mode of external aggression. So instead of defense, the primary job of African armies is to protect the ruling regime by keeping the life president in power (by informal count some 15 current leaders initially came to power via military means) and to thwart threats to the status quo mounted by the opposition, democratic or otherwise. … American attacks against purported terrorist elements in Somalia, for example, do raise the issue of if-you-have-the-assets how will you use them? Obviously, military programming risks duplication where USAID, the Centers for Disease Control, Peace Corps Volunteers and others are already engaged. That said, host governments are quick to realize where the money is, so they will increasingly focus requests on U.S. military elements. … The U.S. already does a pretty competent job of economic development and humanitarian relief. What additional benefits – besides money – can AFRICOM bring to those tasks? So there are several questions here. Is counter insurgency a practical use of Army resources? And, is counter insurgency action actually counter insurgency? Is it really occupation? The places where it is being discussed or applied, or where it may be applied, such as the Niger Delta, are not part of the US. So US military involvement, including the use of mercenaries or surrogates, is effectively occupation. In the Niger Delta, MEND, Niger Delta Vigilante, and similar organizations are fighting the exploitation and occupation of their land by the oil companies. If AFRICOM becomes involved, it will be coming in as part of an occupying force, regardless of what agreements it may make with the Nigerian government. AFRICOM will assist the oil companies to continue their occupation. Considering the traditional role of African militaries, protecting leaders who generally have not come to power through democratic processes, do these militaries merit American support? What will be the effect of developing only that military infrastructure, especially if the money is siphoned away from US institutions that have the structure and skill to spend it in support of peaceful development. As we have documented here off and on following the February 2007 public announcement of the creation of AFRICOM, one thing that its spokespersons, planners and transition team have typically not done is listen to Africans or anyone bringing up things they don’t want to hear. It’s hard to imagine that changing much at this point, other than trotting out those African representatives already on board and “advising” the U.S. on how to best to go about accomplishing their objectives. Going from the lineups presented at the various thinktank conferences and seminars, a high percentage of these influential Africans are military officers, usually graduates of IMET or other U.S. training programs. As would be expected, maintaining control of the perception of AFRICOM is very important in the initial stages of the new command. However, since the official public image of AFRICOM (“a new kind of command” combining humanitarian missions with the pentagon’s soft power capabilities to help Africans help themselves) hardly matches up with the command’s true mission (secure and guarantee U.S. access to vital energy sources and distribution channels while containing China’s growing superpower status), AFRICOM, and everyone involved in promoting it, will remain beset by their own contradictions and weaknesses. Read the whole article, as well as some of his coverage of what is happening in Somalia, which b real continues to document, providing detailed information and insight. We see these contradictions over and over. The Pentagon and the State Department continue to deny any US interest in oil or China as reasons for the creation of AFRICOM, despite the documentary trail citing oil and China specifically as the reasons for the command. The denials saying AFRICOM is not about oil and China are no more convincing than denials that the Iraq war is about oil (as has been openly stated by Alan Greenspan, and implied by John McCain in his statements on energy policy last week). The Pentagon is the largest single consumer of oil on the entire globe. A friend sent me a link for a CBS segment about AFRICOM training Ugandans to fight in Somalia. The piece was entirely DoD talking points. I even wondered if it was one of the advertisements masquerading as news items produced by the Bush administration: U.S. Reaches Out In Africa Al Qaeda Fight. American soldiers are training the Ugandans to combat terrorism, CBS News correspondent Allen Pizzey reports, preparing them to go to Somalia to fight Islamic insurgents so the U.S. doesn’t have to. Al Qaeda and other militants have expanded their operations to Africa. Across the top of the entire continent, rebel groups and discontented youth make ideal recruits-a situation made all the more dangerous by growing American dependence on African oil. It’s something the U.S. cannot ignore. To make Africom succeed, the general has to spend as much time being a diplomat as a soldier. If he does it well enough, the enemy gathering in Africa won’t be America’s alone. People from Uganda and Namibia have been heavily recruited as mercenaries in Iraq. Many have been recruited for Iraq under false pretences. This is quite controversial in some places. There is much concern about how mercenaries will behave once they return home. Namibia recently closed down and evicted the operations of an American company recruiting mercenaries. This training the US is providing is also suitable for creating an ongoing supply of mercenaries and surrogates for US purposes. And the US will need mercenaries and surrogates if it attempts to control the world by force, as it seems inclined. In fact the rebel groups and discontented youth [who] make ideal recruits – a situation made all the more dangerous by growing American dependence on African oil that the CBS piece describes are far more likely to be ideal recruits for American military aims if they have the opportunity. Al Qaeda is not really popular. Nobody likes outsiders coming in and telling them they are inferior practitioners of their religion. And the Somalis have generally been cool to hostile to al Qaeda. The only thing giving al Qaeda any credibility is US behavior. In Somalia the US is encouraging one country, Ethiopia, to invade another, Somalia, helping overthow the existing government and occupying the country and bombing civilians. That is not counter terrorism. It is imperialism. Much of it is run out the the CJTF–HOA, being held up as a model and template for the rest of AFRICOM. But all the US news sources are lapping up the al Qaeda terrorist spin and spitting it back out again, letting Americans think they are being protected from a terrible enemy instead of themselves becoming a terrible enemy of peace, and being conned into endless war of imperial aggression. And the only African voices that will be heard are the ones that have been coopted to replay the Pentagon talking points. The real promise of AFRICOM is foolery, fallacy and failure, for the US, and for Africa.